Pioneering researchers and practitioners are leading the charge towards a deeper understanding and broader diffusion of sustainable consumption concepts and strategies in North America. Pioneering researchers and practitioners are leading the charge towards a deeper understanding and broader diffusion of sustainable consumption concepts and strategies in North America. Below you’ll find a listing of some key players and resources to help find ideas, inspiration and support for taking action on sustainable consumption as this movement grows. The Sustainable Consumption Research and Action Initiative (SCORAI) is a knowledge network of professionals working at the interface of material consumption, human well-being, and technological and cultural change. They aim to foster a transition beyond the currently dominant consumer society. SCORAI provides a forum for scholars and practitioners striving to understand the drivers of the consumerist economy in affluent technological societies; to formulate and analyze options for post-consumerist lifestyles, social institutions, and economic systems; and to provide the knowledge for emergent grassroots innovations, social movements, and public policies. In addition to partnering with USDN on the development of this toolkit, SCORAI, One Earth and USDN have worked together to produce two sustainable consumption workshops and the Eugene Memo, a call for researcher and practitioner action. SCORAI’s 2014 Colloquium on Consumption and Social Change gave contemporary thought leaders the opportunity to share their research and leading edge ideas through a free flowing dialogue that is available to the public. A nonprofit ‘think and do’ tank based in Vancouver, Canada, with the mission to transform production and consumption patterns locally, nationally and internationally to be sustainable, healthy, and just within the limits of living systems. In November 2015, One Earth released the groundbreaking Local Government Sharing Economy Report, which helps local governments across North America strategically engage with the sharing economy to foster more sustainable cities. One Earth is also a key partner with USDN and SCORAI in developing the Eugene Memo and USDN’s Sustainable Consumption workshops, and a contributing author to this toolkit. An EPA-convened collaboration of state, local, and tribal governments that are developing ways to institutionalize sustainable materials management practices. The Forum identifies and shares effective greenhouse gas emission reduction strategies that also improve the way communities source, use, and recover materials. The Forum has produced several important resources to advance this work including its Sustainable Consumption webinar series and toolkits for climate action planning and climate-friendly purchasing. The Forum is a key partner along with SCORAI and One Earth on the USDN efforts to date. A leader among state agencies in integrating sustainable materials management into its policy and programs. Its pioneering strategy Materials Management in Oregon: 2050 Vision and Framework for Action is a model for addressing consumption at the state level and related research and program development continues to set the example for other state and local governments. 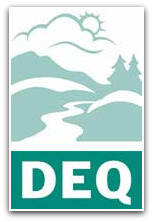 DEQ policy experts have played a significant role in the development of this Toolkit and other related USDN activities. Works to raise awareness of the negative impact of a hyper-consumer culture. Their focus on the connections between consumption, quality of life, and the environment has made New Dream unique among environmental and progressive groups. New Dream seeks to change social norms around consumption and consumerism and to support the local movement of individuals and communities pursuing lifestyle and community action. New Dream offers a variety of resources including videos, webinars, and publications that explain sustainable consumption concepts and support public and private sector efforts towards sustainable lifestyles. The Story of Stuff began as Annie Leonard’s 20-minute video about the consumerist society and its impact on our lives and environment. 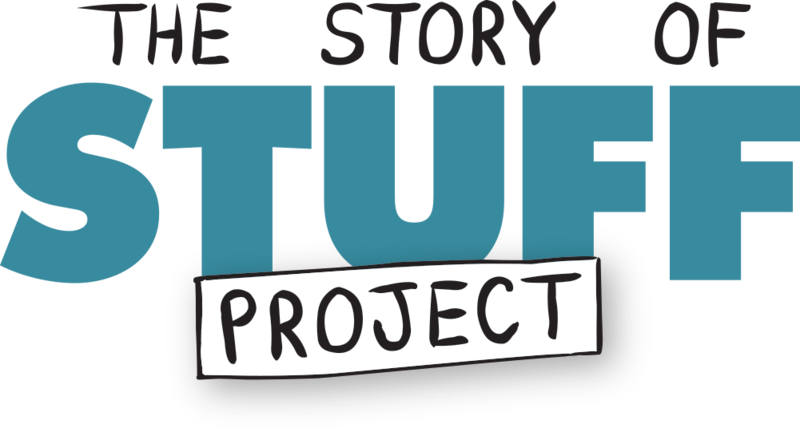 Since that first film short, The Story of Stuff Project has grown into a worldwide movement with millions of followers engaging with the organization’s movies, podcasts, a book and other learning and action-oriented resources. These changemakers have also catalyzed residents, politicians and businesses to action on a variety of internationally-relevant and sometimes locally-specific issues such as rejecting bottled water plants, disposable water bottle bans in national parks, packaging waste and removing toxics from household products.